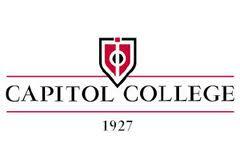 Combined with the recurring use of our official colors - red and black - our visual identity distinguishes Capitol as a unique institution. Capitol College is the only independent college in Maryland dedicated to engineering, computer science, information technology and business. Founded in 1927, Capitol is a regionally accredited institution that blends academic excellence with practical learning experiences and provides a hands-on education that prepares students for a range of challenging and competitive careers. The college's suburban location, halfway between Washington, DC and Baltimore, affords the college the opportunity to remain committed to its mission through collaborations with local business and government agencies. Whenever you see those three words - educate, innovate, inspire - and see our logo, be reminded of a college that blends tradition with aspiration, and has a mission and vision rooted in its history. Moreover, be reminded of the programs we offer, the people we work with, the students we teach and the businesses we develop partnerships with. The Capitol College brand is a promise that we live by - to offer a relevant education in a supportive environment for career success.